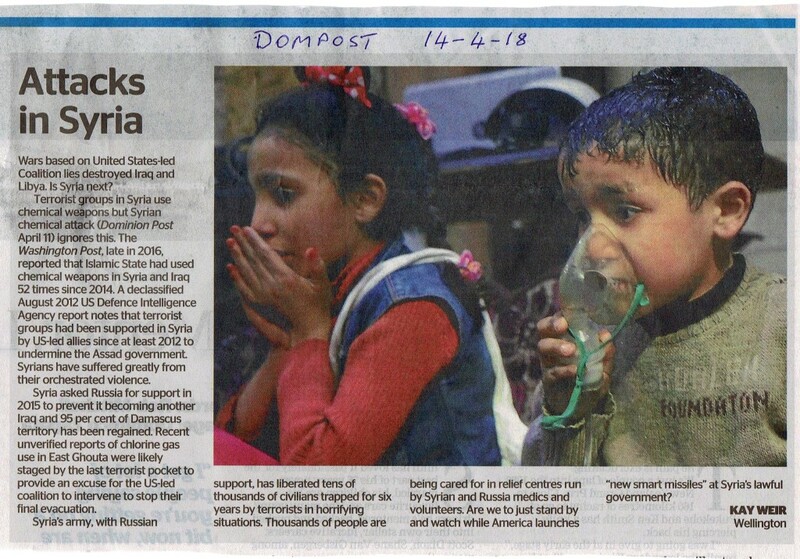 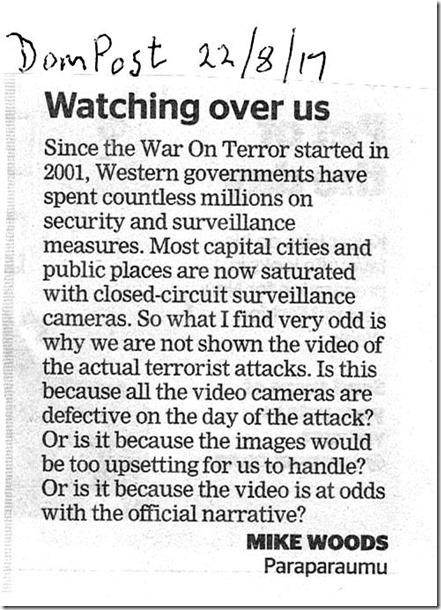 Thank you to Kay Weir for her excellent letter which was published in the Dominion Post as the lead letter to the editor on Saturday 14 April. 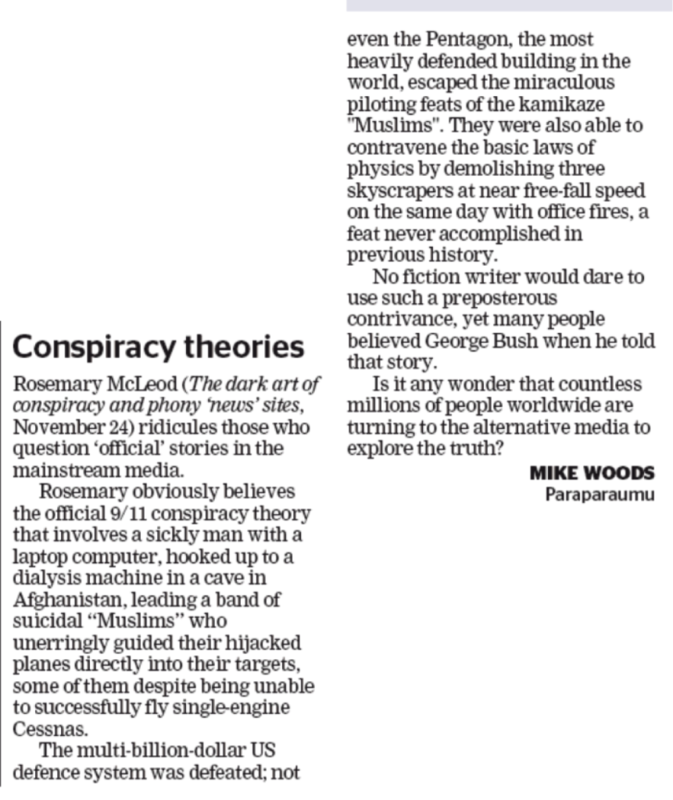 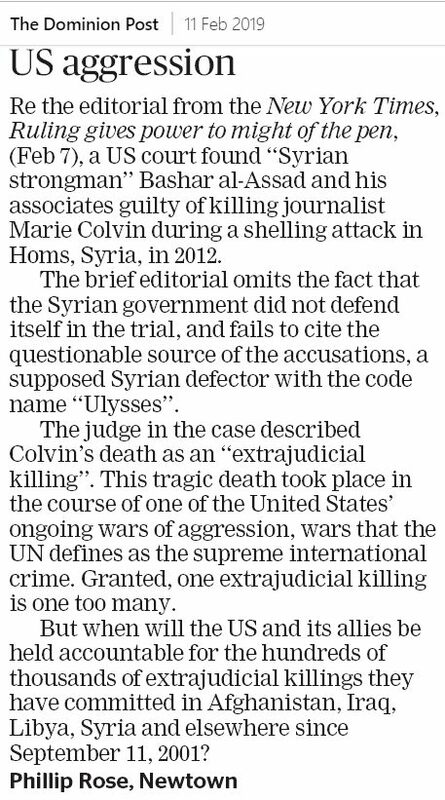 Well Done to Mike on getting his splendid letter published in the Dominion Post newspaper today in response to Rosemary McLeod’s recent opinion piece – The Dark Art of conspiracy and phony ‘news’ sites. 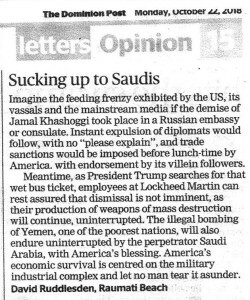 His letter certainly shows just what a “dark art” fake news reporting is! 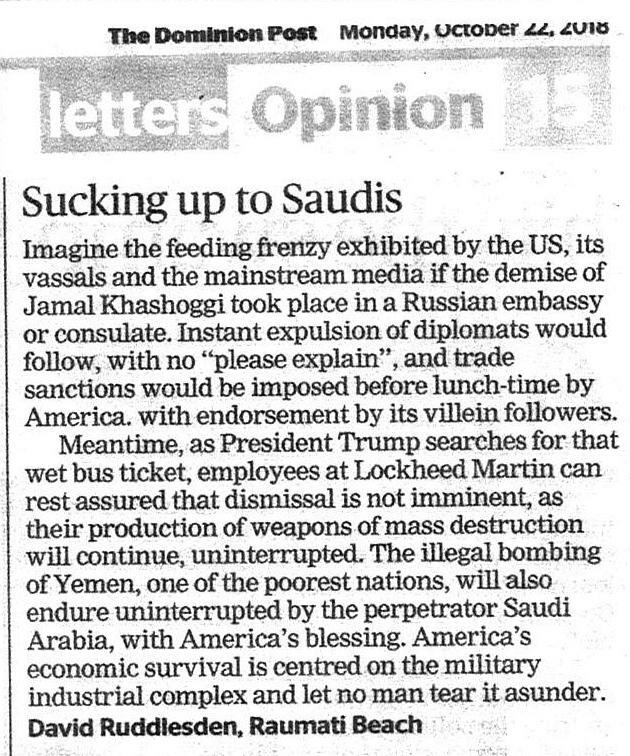 A huge thank you and congratulations to Wellington Activist Chris Ashley who recently made a presentation at his Toastmaster’s club about Building 7. 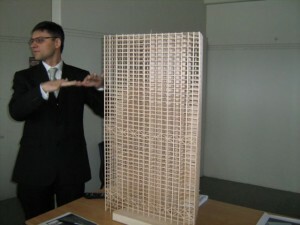 His presentation was so compelling that he not only won Toastmaster of the Day but also interested his colleagues into learning more about the scientific evidence behind the three building collapses on 9/11.